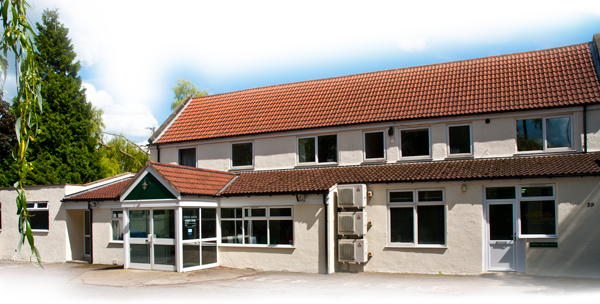 An RCVS accredited veterinary practice based in Knaresborough. Providing care for cats, dogs, small pets, horses and farms throughout the Knaresborough, Harrogate, Ripon and Wetherby area. Phone (01423) 862121 to book an appointment or find out more. In an emergency, just call our main number (01423) 862121. Our out of hours service is provided by our own vets who are on call 24 hours a day, 365 days a year! We don't use out-sourced call centers or complicated messaging services. Our caring and experienced vets all routinely work with cats, dogs, horses and farm animals. We offer a complete service for our small patients at the surgery. For our large patients - We Come To You. There's no need to transport your horse for X-ray or Endoscopy, we'll do it in your stable. Every 4 years, we are thoroughly inspected by the Royal College of Veterinary Surgeons to ensure that we continue to meet all of the required standards to provide a high quality service. We offer monthly health plans payable by Direct Debit for Cats, Dogs, Horses and Rabbits. The inclusive plans provide a great way to budget for the routine care of your animals and save money with exclusive discounts. Pick up a leaflet at the surgery or click here for more information. Ample car parking for clients. A large inviting, air conditioned reception and waiting area. Fully computerised patient records and billing system. Modern ultrasound, video endoscopy and digital X-ray facilities. Two air conditioned consulting rooms. Two well equipped operating rooms (with air conditioning in the main room). Air conditioned kennel area for our small animal patients. 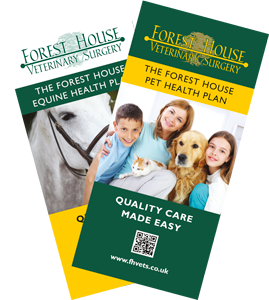 Our vets here at Forest House Veterinary Surgery are supported by our dedicated and caring nursing, reception and administrative staff. We all have a wealth of experience which we can call on to help and advise you. We provide a full range of services for cats, dogs, rabbits, guinea-pigs, other small animals, horses and farm animals in Knaresborough, Harrogate, Ripon, Wetherby and the surrounding areas. Our vets and nurses constantly review and update their skills and technology making sure that we can offer you the highest level of care at all times. Thank you for the acupuncture treatment you carried out on our dog Sam which has played a huge role in his recovery... the results were immediate. Loved my placement at this excellent practice, with the chance to learn from knowledgeable staff who give one of the highest standards of service I've seen. Once again I find myself thanking you all for such a professional and compassionate service. From the moment Ruth took my call to Graham dealing with our cat, Bo, the whole process was terrific. Thank you so much. Please accept our heartfelt thank you for everything you and your colleagues did for Morse. As you witnessed this morning, it has left us devastated as we kept believing we could get him better. We know that you could not have done anymore and that you helped extend his life and gave us even more memories to treasure. Thank you again for everything. You were so very kind and quick to help poor Bentley who now seems considerably more himself again. He slept most of Friday when we returned to our caravan but Saturday saw him very spritely again with returned energy and appetite. We are so very grateful to you Graham, and your nurses/staff, for all you did and for seeing us so quickly. With our sincere gratitude once again. Thank you so much for all your help, expertise and most of all patience! It was a wonderful experience for us to join you in the operating room and one we will remember forever, thanks to you and Lianne. 'Rodney' and both babies are doing wonderfully. It took two days of hourly feeds and many reintroductions but they are all happily together now and thriving. Thank you so much once again. Words cannot describe how grateful I am for all your help and kindness with Merlin and the insurance. I would not have won the case without your support. It truly meant a lot to me and helped me through such a terrible time. The Hutchinson family as well as Marley, Millie and the three pups! Thank you all so much for all your kindness. Shuggie was our beautiful boy and you helped us to cope with saying goodbye. Thank you for showing such kindness and compassion to me when Gatti was put to sleep. Everyone from the reception, to nurses, to vets, the whole team were superb. Thank you everyone for your care during my recent illness (blockage problems). I am delighted to be back to my normal self and running around our meadow NOT on a lead! Thank you all for taking care of our precious Mori over the past few years. The excellent care you gave her through her long illness definitely made her more comfortable and prolonged her life. Graham, you were so helpful and understanding. Couldn't have done it without you. some things are even FREE!!! If you've got a new puppy or kitten, our vets will give it a FREE first health check, even if it's not due for a vaccination yet. Then, for the first year, our nurses will do regular free check-ups. Does you pooch need to shed some pounds, is your cat a couch potato? Our nurses will help you lose the excess with a tailored weight control plan and regular check-ups. All FREE! If you need to make an insurance claim, we won't charge you anything for completing the claim forms or liaising with your insurance company. Routine fertility work, disease investigation, calvings, lambings. All of our vets are experienced and confident with farm work for dairy, beef, sheep and goat herds. We bring the full range of equine services right to your stable door. From routine work such as vaccinations or dental work through to lameness investigations and diagnostic imaging - we can come to you. Our well equipped surgery is the ideal place for your pet to get the best care. We offer the full range of services from routine vaccinations through to full diagnostic investigations and surgery.